I am almost done watching all 100 of the American Film Institute’s best American films. In 2003, living with Biola University film students, I learned of the AFI list. At that time, I resolved to watch them all. It was a casual resolution. I originally started the list to become a more informed film viewer and because I wanted to maybe write screenplays. While I have written some screenplays now, my professional career is not headed in that direction. Regardless, I just began watching. Though it started casual, the project became more of a commitment. 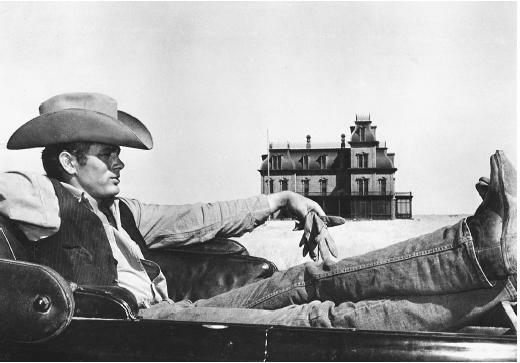 It was not only for self-education about film – though who doesn’t want to learn more about film? – but for entertainment. Each film is unique, interesting, surprising, fascinating, and delightful. Many of them were, for a time, “the best film I’ve ever seen”… until I watched the next one. So I kept watching. Even through marriage, a doctoral program, and now kids and a full-time career in classical education, I’ve averaged one AFI film every two months for the past 14 years. Now, in 2017, the end is in sight. I’m on the final stretch. The goal is not really completion in some neurotic sense, although I do love checking off lists. Watching one a week I can finish by Christmas. Or watching one a month, I can finish by the end of 2018. I’m in no rush. But I’ll keep you posted if and when I finish. The last 14 years have been a winding, wandering journey as far as media consumption. I’ve read a lot more books than seen movies: I average 40 books a year. I watch movies as they come out, in theater or on video, and go with what interests me or what friends and Rotten Tomatoes declare is a Must See. Nevertheless, I’ve kept to the tortoise approach and kept watching AFI films. In the meantime, I’ve delved as much as time and interest allow into foreign films. I’ve seen all of Andrei Tarkovsky’s seven films, a few Bergmans. I don’t mind slow, non-narrative, or otherwise challenging movies, though a few have bested me. The only Great Films I have ever turned off because the mood just wasn’t right were Dreams, Russian Ark, and Diary of a Country Priest (though I hope to return to them someday). The AFI movies are almost without exception both arresting and entertaining. At first, I started at the top of the list, going from the 1st best movie down the line. Then I realized that it would be more sumptuous to move from 100th movie up. 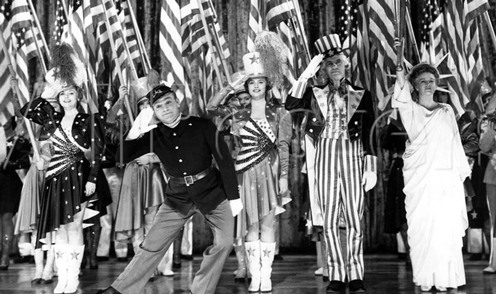 Yankee Doodle Dandee (#100) is still one of the best movies I’ve ever seen. At this point, any systematic approach has broken down and I’m watching whichever of the remaining ten films I can get my hands on first. Finding the films is often tricky. Renting from Blockbuster was my first resort (again, this was 13 years ago); which quickly transformed to Blockbuster online and Netflix. The Library was a steady resource for harder to find titles and classics. If you are not willing to download pirated digital copies of these films, some films are simply unavailable. YouTube has improved over the last 13 years as a means of legal pay-for-access film watching but many of these old films are hard to come by even in Torrent form. Criterion has increased its collection of free online films. Cinephile friends could be accosted for access to their film collections. 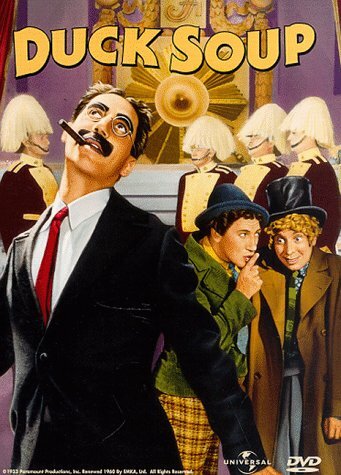 Finally, some films (Duck Soup) are old enough that I count them, for all intents and purposes, as in the public domain. I think I’ll be able to track them all down eventually. Over the years, I’ve toyed with the idea of reviewing each film, at least in a paragraph or a page. However, three interlocking factors dissuaded me: (1.) the time commitment would be enormous; (2.) all these films are saturated with reviews from great film reviewers; and (3.) my film reviewing and writing skills and my perspective as a philosopher do not seem sufficiently unique to warrant yet another review. So I’ve opted to enjoy them as a viewer and content myself with recommending outstanding films to friends. On the one hand, using the AFI list to direct one’s movie viewing choices is certainly arbitrary. The list is unabashedly American. Any list of Best Movies Ever full stop will have to go outside the U.S. to include The Passion of Joan of Arc, Andrei Rublev, Seventh Seal, The Decalogue, and a whole bunch of Kurosawa. Hence, I have also used Image Journal’s list in directing my next viewing. On the other hand, the AFI list has it’s place. Some of the movies are simply entertaining and patriotic (Yankee Doodle Dandee, Best Years of our Lives, Mr. Smith Goes to Washington). As an American, I have an almost genetic disposition toward entertainment and patriotism. The AFI list is more than parochial, though. Some of its films are truly great art (2001: A Space Odyssey, Network, Deer Hunter) that belong on any list of Best Movies Ever. The list is also limited in scope by the historical contingency of being composed in 1988. In excluding films from the last 40 years or so, it does not include any Terence Malick, Darren Aronofsky, or Danny Boyle, Coen Brothers, or Pixar. That’s not a flaw per se but it is a limitation. That’s why I use the AFI list as self-education about the history of the first hundred years of American cinema and not an end-all be-all. The end is in sight. I’m on the final stretch. These films have positively influenced my life, given me a much more entertaining pastime than modern films, and have initiated me deeper into the cult of film nerds. If and when I finish, I’ll let you know. Have you seen some/all of the AFI films? What do you make of them? The list itself? Leave a comment below!